★. 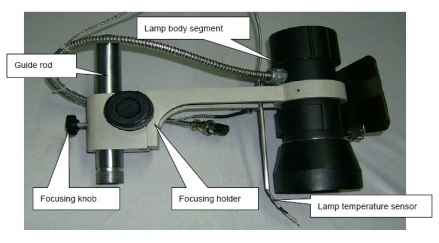 (2) Use of an infrared heat lamp. Heat is easy to pierce and distribute evenly. 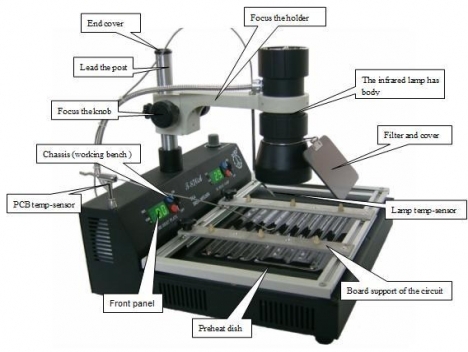 which overcomes disadvantage (burn out elements) of traditional welding machines. ★. 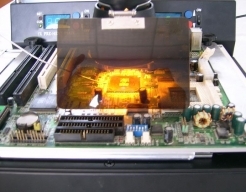 (6) Infrared heating without heated air flowing. No impact on circumjacent small elements. 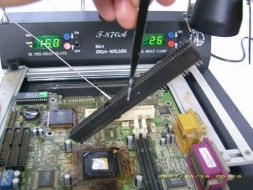 It is suitable for all of the elements,especially Micro BGA components. ★. 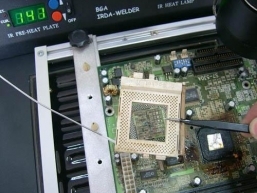 (7) The T-870A is suitable for a variety of computers, notebooks and the rework or repair computer architecture. 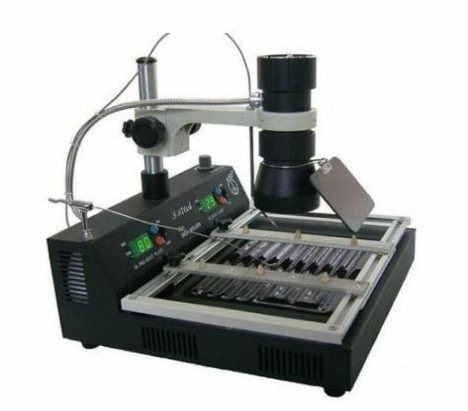 The Puhui T-870A soldering/rework station from Puhui Technologies, an entry level desoldering/soldering rework station for surface or hole mount components. 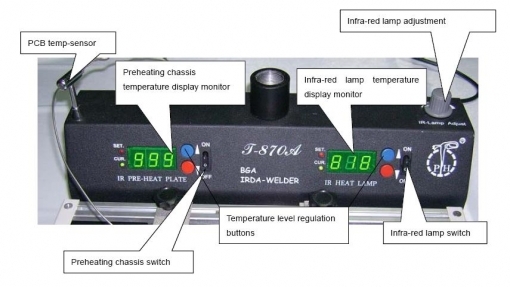 With T-870A, you get a temperature controlled rework welder station with all the enhancements including IRDA preheating surface, Infrared centered or dissipated preheating, and Soldering Iron. All controllers are fully digital. 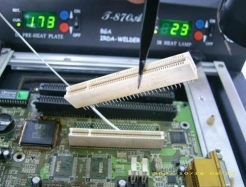 FOR BGA, use the IRDA Ceramic preheating plate and your Infrared light gun for the Mini BGA chips or chips secured by hooks in the middle of the chips, for turbo car chips or controlling speed chips is special to mount, dismount and make controlling boards. 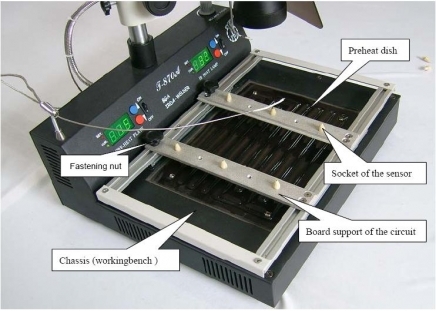 This rework station is ESD-Safe and it is made of metal and coated with a static-dissipative paint and allows for Soldering and desoldering BGA, Mini BGA, QFP, SOP, PLCC or SOJ.